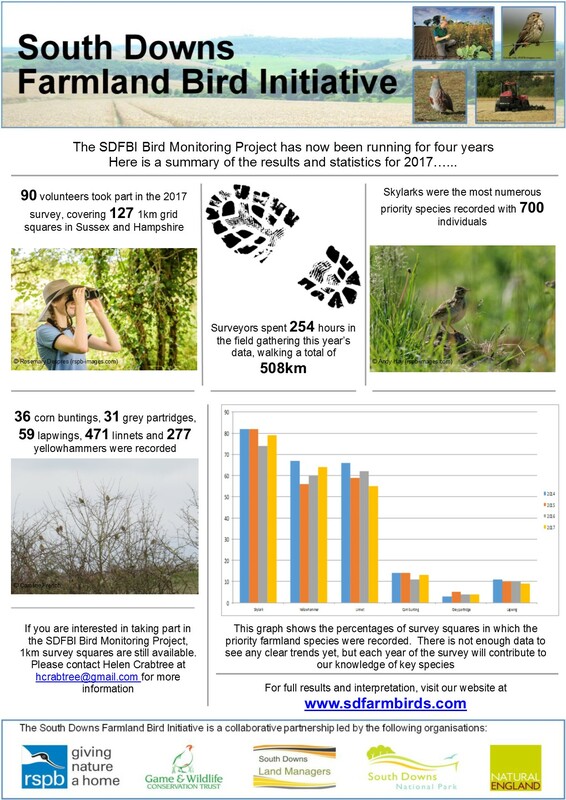 Following many hours of survey work across the South Downs last spring and summer, we now have the results from the 2017 SDFBI Bird Monitoring Project. This represents the fourth year of the survey, which is building a valuable picture of how priority bird species are faring across the South Downs National Park. Maps have been prepared that show where the birds were seen, their abundance within occupied squares and how their distributions have changed since the surveys began. In addition this year, we have also produced a map showing the density of red listed birds within the survey squares. We are still too early in the project to define accurate trends, but the results so far are helping to build a valuable picture of how populations are faring on the South Downs. 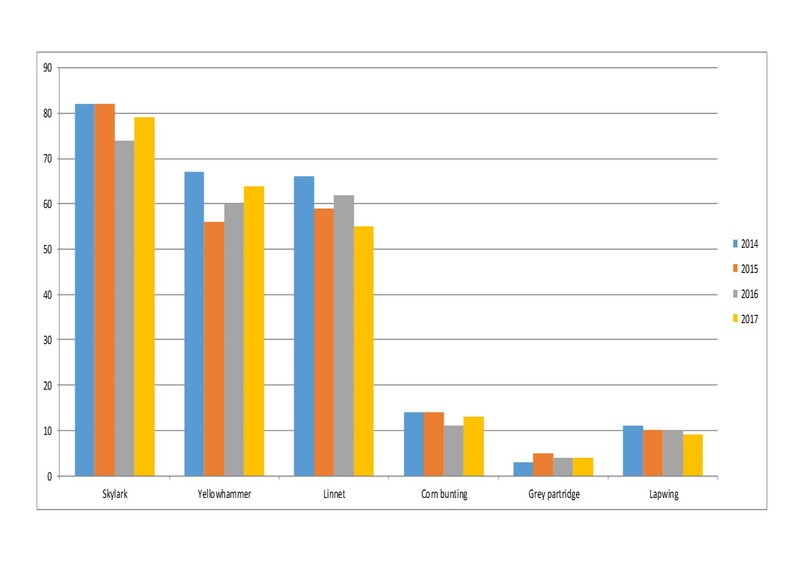 The graph below shows the percentage of survey squares in which the key species have been recorded to date. Work is planned later this year to compare our South Downs results with that of Sussex and Hampshire and of the wider South East Region to see how they compare. Keep an eye on the website for further details. The SDFBI partnership would like to thank the army of volunteers that make this survey possible. The many hours spent and miles walked that go into gathering the data for this project is shown in the infographic below.